We loved working on this wedding with the ladies at Quality Event Design. 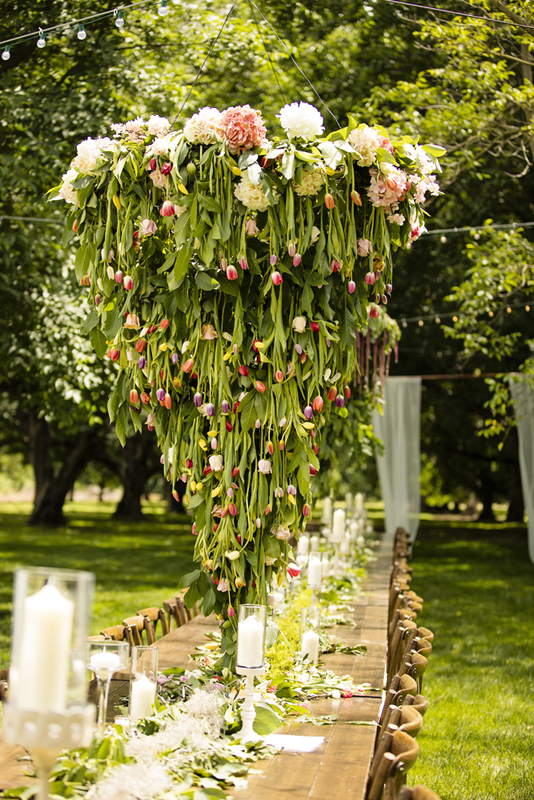 Allex and Michael's venue was a family walnut grove in California and was transformed by Chrissy and her team. The entire location was a BEAUTIFUL backdrop for this stunning wedding. Just look at those floral chandeliers above their tables...WOW! Their wood panel invitations (photo is not by the very talented Anicia Beckwith) was so fun to design and customize for their beautiful day!